Recently fired from Metallica and eager to prove that he is faster, badder and louder, 23 year-old Dave Mustaine quickly cobbled together a new band, scrounged a few dollars from independent record label Combat Records, blew most of the money on drugs, and recorded Megadeth's debut. Killing Is My Business...And Business Is Good! is a foundational album in the history of thrash, with two blazingly brilliant tracks, an incredible amount of difficult-to-grasp speed, and plenty of underdeveloped ideas. The first two tracks together showcase a band intent on reshaping the metal landscape, with a unique combination of fearless energy and mature song-writing. Last Rites / Loved To Deth starts with an unforgettable evolution of Bach before exploding into a furious riff careening down rusty rail tracks with only one possible outcome: legendary status. The combination of speed and rage is stupendous, and rarely has a band announced an arrival with a more devastating album opener. Killing Is My Business...And Business Is Good! pulls back ever so slightly on the speed in favour of power, but once it ignites, it also shoots into a barely comprehensible trajectory of excellence. The rest of the album was always going to struggle to maintain the quality of the first eight minutes, and while the material is good, it is constrained by a truncated development. Tracks such as Rattlehead and Chosen Ones have kernels of solid ideas, but they remain relatively uncultivated. Mechanix is better, Mustaine's composition from pre-Metallica days showing the benefits of nurturing rather than rushing. The album closes with a cover of These Boots, with altered lyrics. It eventually gained notoriety for the dispute with original composer Lee Hazlewood, who termed Mustaine's version "vile and offensive", resulting in its deletions from some re-issues, and bleeping of the altered lyrics on the 2002 CD re-release. The controversy is more interesting than both the original and the cover. Killing Is My Business...And Business Is Good! 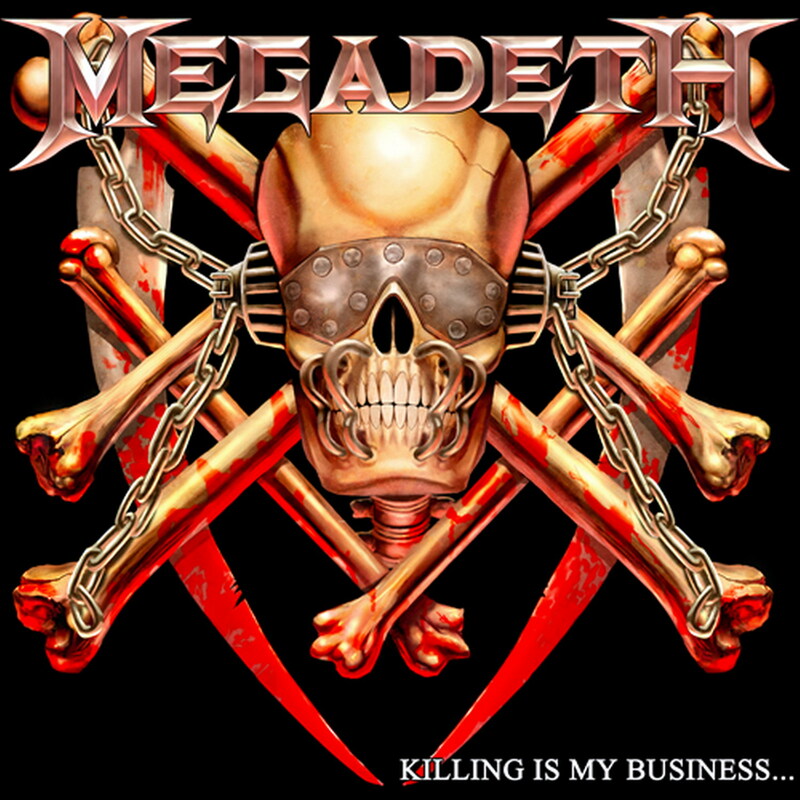 in many ways foreshadowed Megadeth's defining album characteristic: a few superlative tracks combined with many routine compositions, undermining the value of the overall package. Produced by Dave Mustaine and Karat Faye.